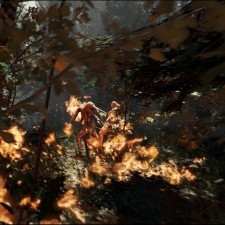 Endnight Games yesterday announced that its survival-horror title The Forest has sold 5.3 million copies. The freeform survival-horror title left Early Access this April - and while it launched on PS4 this week, those 5.3 million sales all come from the PC edition. The game has been available through Steam since May 2014. In a press release, Endnight stated that the game was developed on an initial budget of $125,000. Regardless of Steam’s cut of the pie and the occasional sale, it looks like The Forest has been an overwhelming success for the small studio. Endnight added that an update in December will bring a new creature and weapon type to The Forest, on top of new buildable and clothing items. Regardless, it looks like plenty of players aren't finding The Forest to be a wooden experience.